For the Hari Udan Naan Grand Finale. The show, conceived and executed by Subhashree Thanikachalam's Maximum Media decided they would hold the Finale in Dubai. The winner gets to win a world tour and also gets to cut an album with Hari ji. Almost 13 years after singing in Saptaswarangal, I get to go on a trip with her. And more than anything else singing in this show is special for me. Also since one of my favorite people, James Vasanthan is also there, it promises to be a fun trip. And also special for the reason that this is the first ever time I am stepping in to Dubai. Looking forward to it. On a totally unrelated note, I looking for western corporate wear. Any suggestions on where I can look for these in DXB? Have a splendid time in Dubai. As you are accompanied by Subhashree mam, hope it brings some warm memories of your saptaswarangal days. have a good trip. any idea when the program will be aired on tv.? chinmayeeeeeeeee Wow....nice to hear your going to Dubai for Hari ji final finale. "This week is chinmayi week". because in kumudam your interview and ananda vikadan health doctor kalakiringa ponga. your simply great. me also telling everything mom and god. Western wear is nice and also masakali rasakali also nice wear. Have a safe journey.Take care. but you do not reply me in which Hindi channel your comparing .mostly am not see T.V .but for your Comparing am going to watch T.V. All the verrryyy beast. keep rocks. Just listened to 'Vizhigalile'. Awesome. Congrats. No doubt, it would be another Lesa Parakkudhu. look in mall of the emirates..
check out Dubai Mall!! It has everything in it..Bloomingdales is in there too..
Visit Deira City Center, Dubai Festival City, Dubai Mall. all the above are quite good. where is this happening? can we visit you ? You should definitely try NEXUS and MEXX and Marks and Spencer. Best place to shop Deira City Centre, Mirdiff City Centre. I haven't lived in Dubai for a long while, but I think any malls with Marks & Spencers or Debenhams or Next outlets would have what you're looking for in various price ranges. Try the City Centre Mall, but I'm sure there are others as well..
Marks and Spencers, G 2000 in Dubai Festival City/ Deira City Centre. Just saw in twitter tht ur searching for EQ/Tsunami prone areas. U may find Info in below links.. Enjoy chinmayi, but u said u uncomfortable as host' then how u accept this? so again u started hosting ha! BTW whts DXB? Anonymous: Uncomfortable hosting LIVE Events. And I was told to do this by Subhashree and Hari ji as well. When elders tell you to do something, there is no such thing as disobeying. I am not sure if you 'd understand that. Just now seen your profile which had the line "Let there be music and I listen!". We watched the first part of the finale, and as usual you have done an awwwwwesome job as compere. Your mayya mayya and kilimanjaro were splendid as well needless to mention :) I thought Anush did a terrific job accompanying you on stage. Look forward to next week's already. Btw, the yellow dress looks really sweet on you. i heard song from kadal2kalyanam-2011.All songs are good. 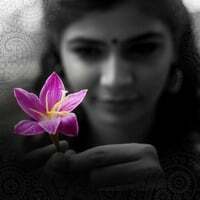 You and Benny Dayal duet song is very nice.ithukadala irunthidumo...nee sonnatha katpane...like that... nice. Going to Dubai for the second time for Vijay Star nite rite? Have a nice time....going to c u in Vijay TV after a long time...alll the best. The next time you hit DXB, Dont forget to check this restaurant out called INDEGO by Vineeth at The Grosvenor House, Dubai Marina. I would call it the best indian restaurant in the Middle East. BTW your performance at the Vijay TV Show Rocked ! !